Bi Hall click is a simple solution for adding a bipolar Hall switch to your design. It carries the Melexis US2882 bipolar Hall-effect switch and a 74LVC1T45 single bit, dual supply transceiver. 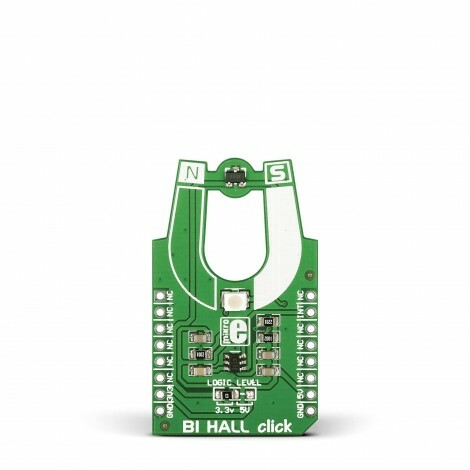 Bi Hall click is a simple solution for adding a bipolar Hall switch to your design. It carries the Melexis US2882 bipolar Hall-effect switch and a 74LVC1T45 single bit, dual supply transceiver. A bipolar Hall effect sensor is sensitive to both north and south pole magnetic fields. Bi Hall click outputs a HIGH logic level when exposed to a south pole magnetic field, and a LOW logic level when exposed to a north pole magnetic field. When removed from a magnetic field, the logic level stays in its previous state. 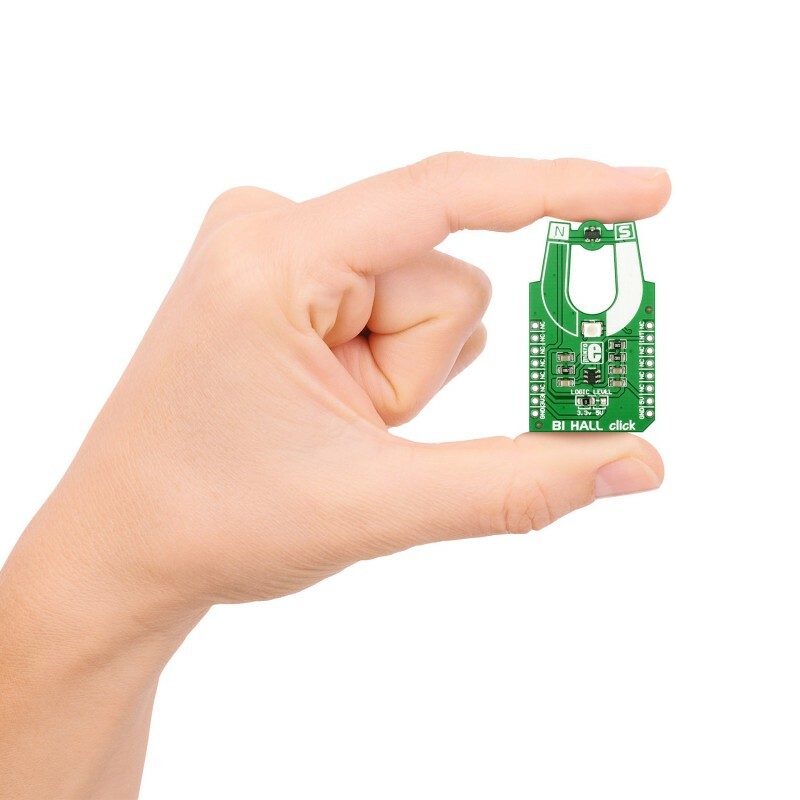 The US2882 IC integrates a Schmitt trigger with hysteresis, thus preventing output oscillation near the switching point between alternating magnetic poles. 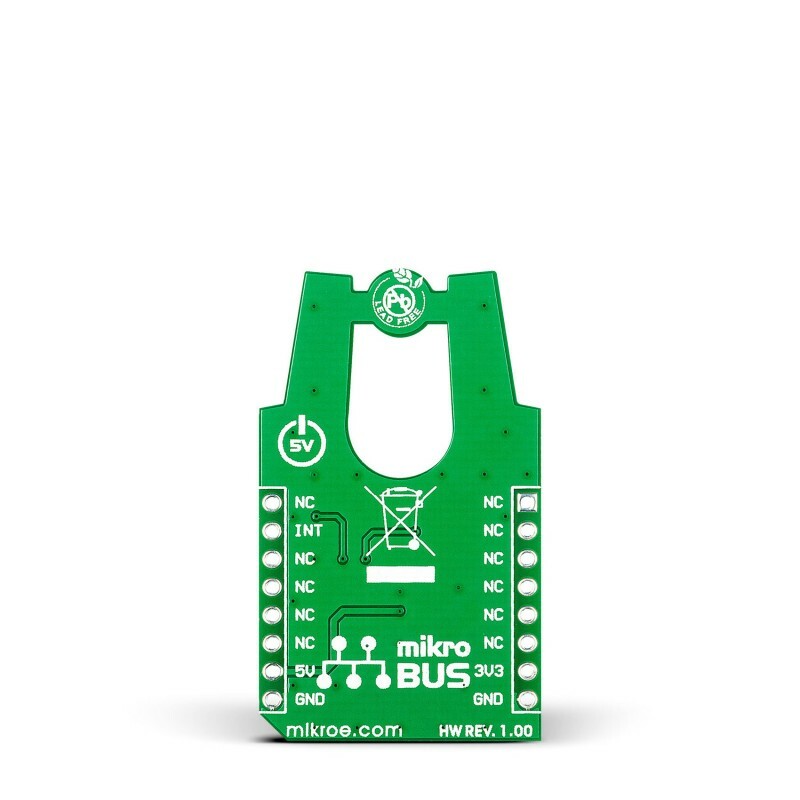 Bi Hall click communicates with the target board through the mikroBUS INT line. 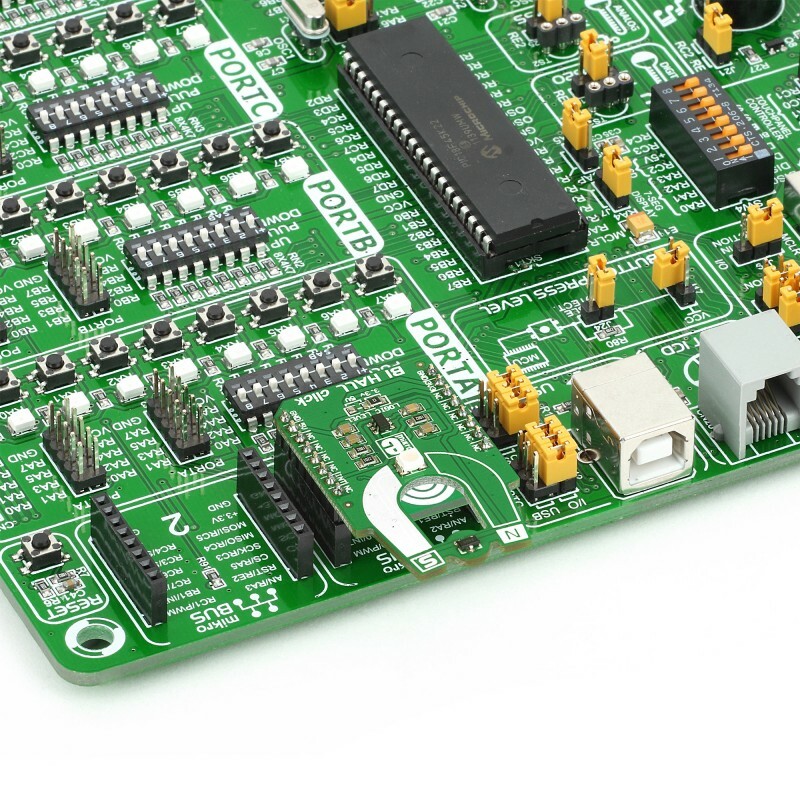 It's designed to use either a 3.3V or a 5V power supply.